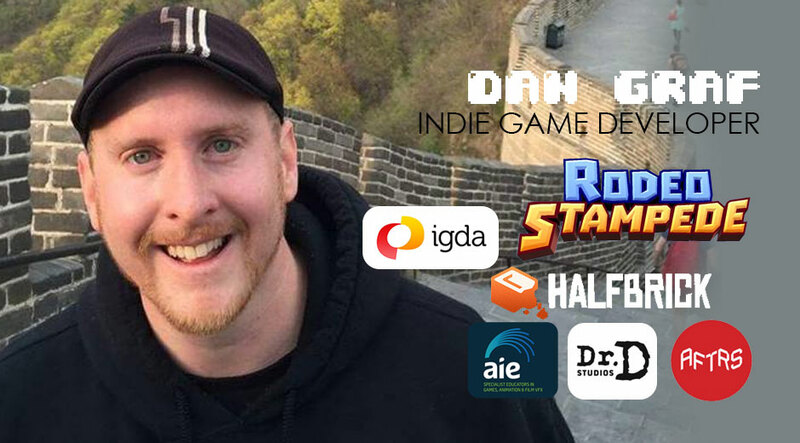 Dan Graf is an indie game developer who most recently teamed up with Featherweight Games to make Rodeo Stampede, a game which has had over 50 million downloads and was awarded Apple’s Top 10 Games of 2016, and Google Play’s Most Innovative 2016. Prior to his recent success, he was a Product Manager and Game Designer at Halfbrick Studios working on Fruit Ninja Champions, a Story Unit Artist at Dr D Studios working on films such as Happy Feet 2 and Max Max: Fury Road, 3D Artist on the Half Life 2 mod Dystopia, and was also the founder of the IGDA Sydney. He has also worked as a designer, artist, animator, writer and director for many other developers, businesses, and associations.